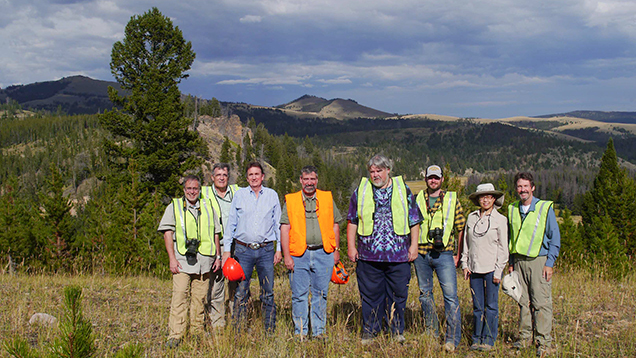 GIA sent a team to visit the newly established Rock Creek sapphire mine owned and operated by Potentate Mining LLC. 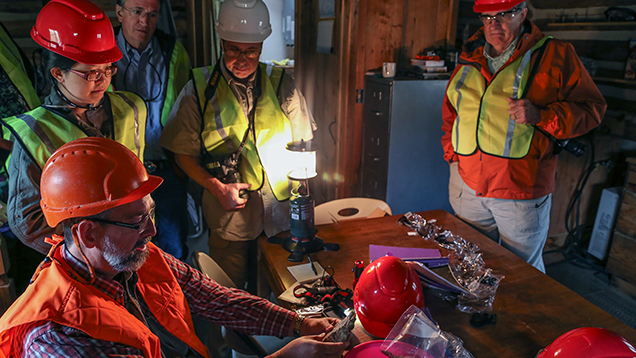 The visitors and the host at Rock Creek sapphire mine. From left to right: Andrew Lucas, Warren Boyd, Robert Kane, Keith Barron, Shane McClure, Nathan Renfro, Tao Hsu, and Kevin Schumacher. 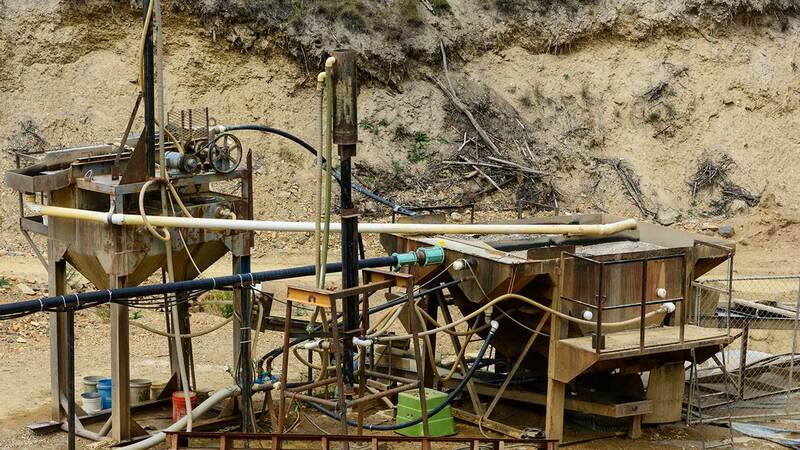 Photo courtesy Potentate Mining LLC. 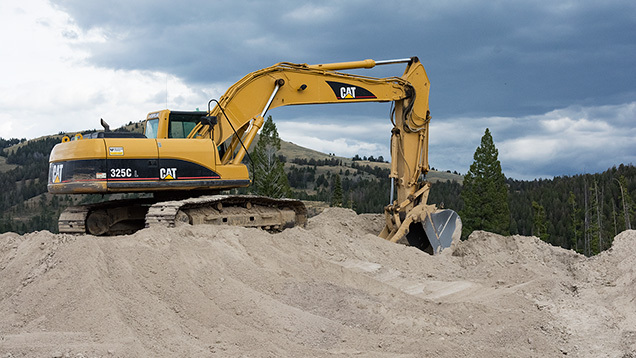 The Rock Creek area has a rich tradition of Montana sapphire mining, and a new commercial operation is now underway there. 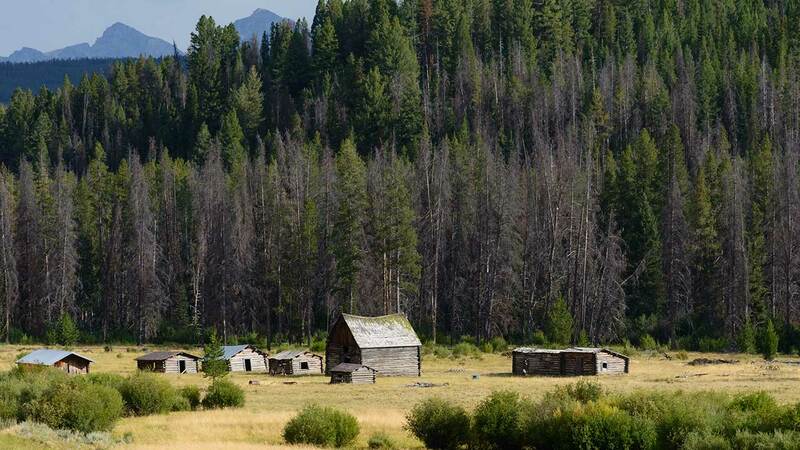 In 2011 the current mine owner, Potentate Mining, purchased the Eureka Gulch property on the north side of Gem Mountain and in 2014 finished purchasing the land on the south side. Today the company owns about 3,000 acres of sapphire-producing land in this historically important mining area. Sapphire deposits in the Gem Mountain area are all secondary deposits. 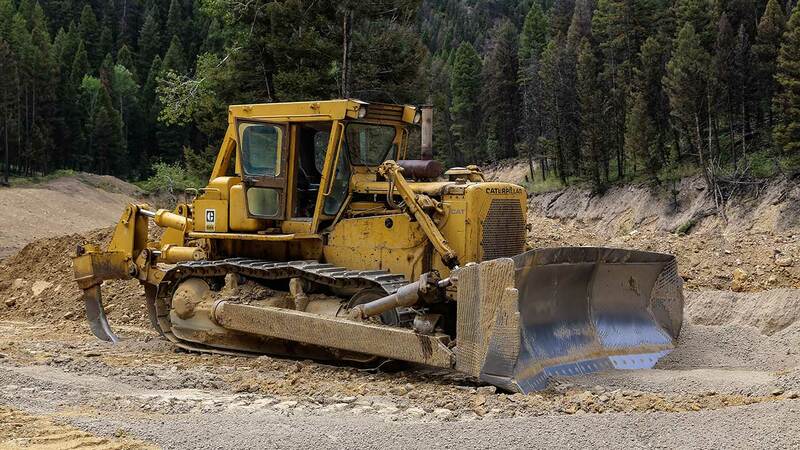 While a lot of rough was recovered from the riverbed, it is also contained in mudflow. Mudflow is a rapid mass wasting process caused by a large amount of precipitation in short periods. 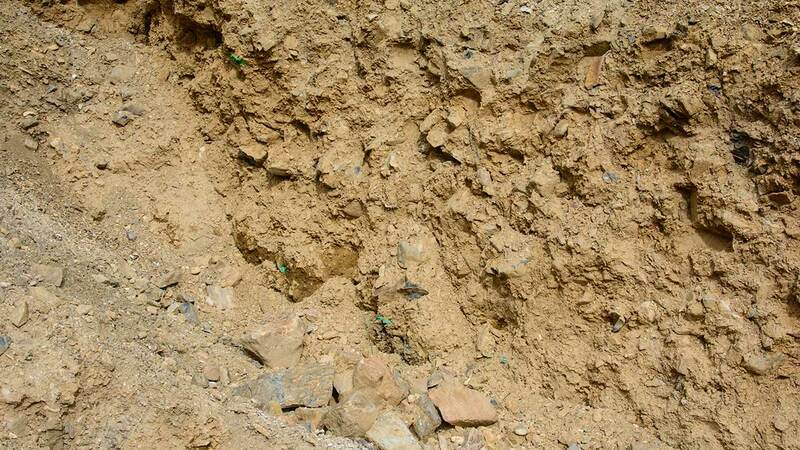 Intense, fast erosion always accompanies mudflows; mudflow deposits are poorly sorted mixtures of silt, boulders, organic materials, and other debris. 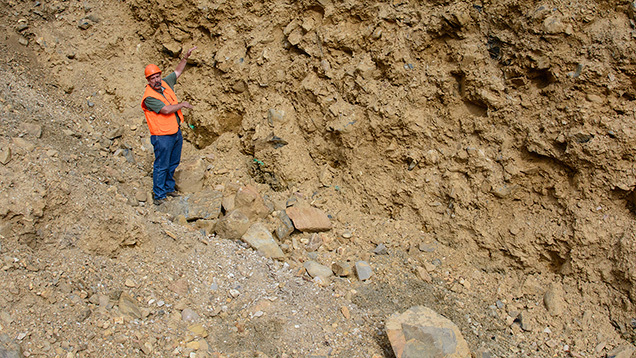 The sapphire and gold deposit in Eureka Gulch clearly shows the poorly sorted mudflow on top of weathered slate or phyllite bedrock that belongs to the Mesoproterozoic Belt Supergroup. Much of the sapphire district is underlain by Eocene rhyolite lava flows and associated volcanic rocks (Berg, 2014). The frosted and etched surfaces of many rough Rock Creek sapphires indicated that they are xenocrysts brought by magma carriers during volcanic eruptions. An outcrop chemically proved to be alkali basalt discovered about 3 miles (5 km) away from the mine is regarded by Potentate’s president, Dr. Keith Barron, as a possible carrier. Results from ground magnetometer survey also hint that there might be mafic igneous rocks below the surface. 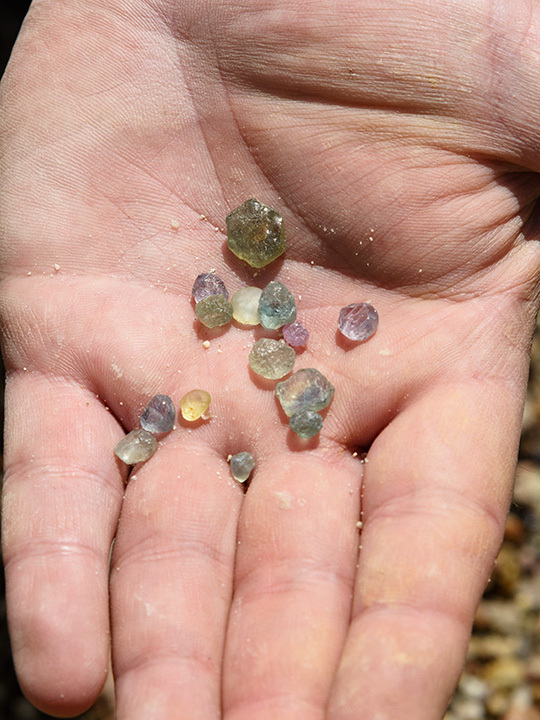 All observations and test results make Dr. Barron confident that there are still plenty of sapphires on the property. 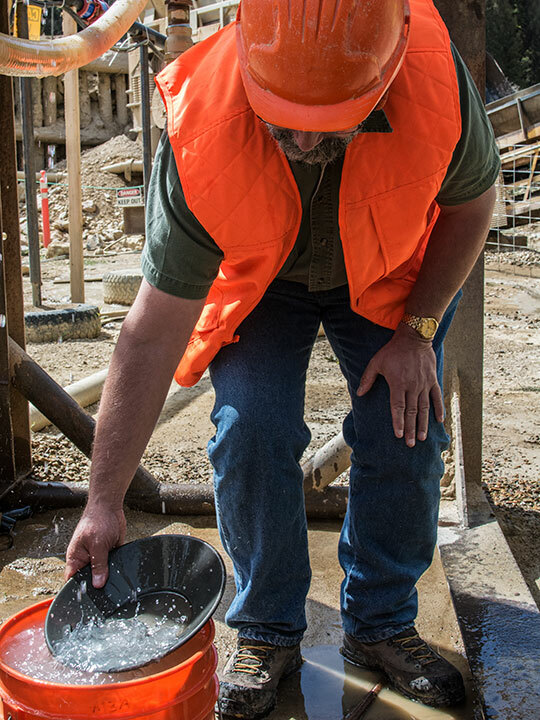 The old-time miners worked mainly on the gulches since they had to mine hydraulically; the lower the area, the easier it was to get enough water pressure. Instead of searching the gullies and gulches, Potentate test mined the area between the gulches and the tops of the hills and saw promising production. This basalt outcrop is about 3 miles (5 km) away from the Eureka Gulch mining site. 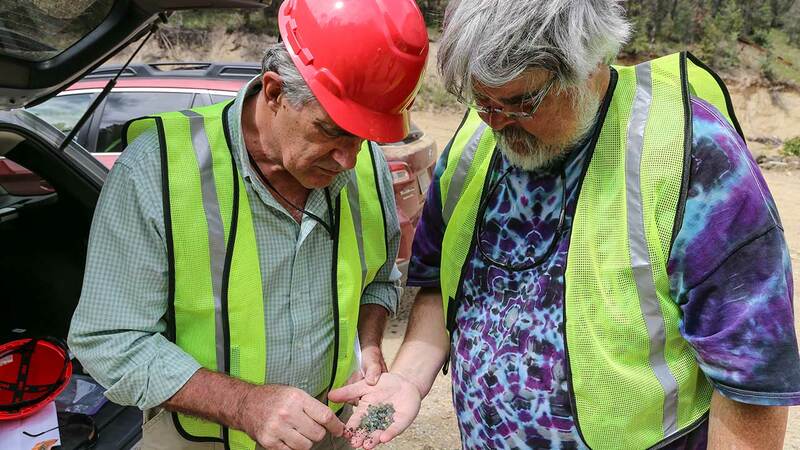 Dr. Keith Barron shows the group a piece of sapphire-bearing rock collected in nearby Helena. Photo by Nathan Renfro/GIA. 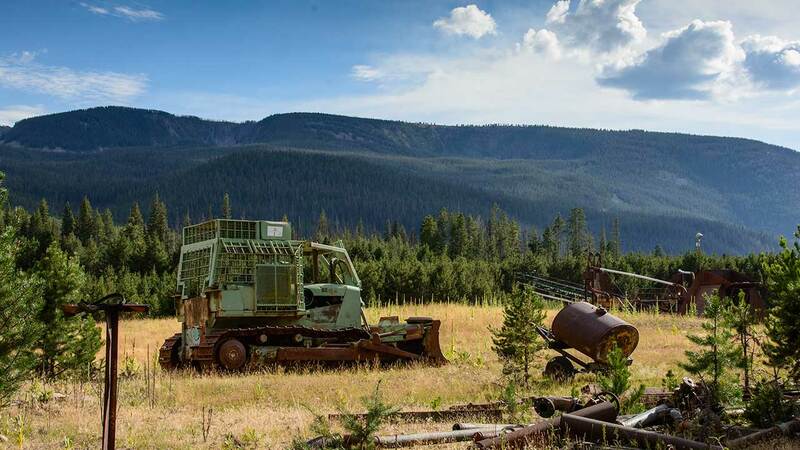 Potentate currently mines at two locations on their property: Eureka Gulch, north of Gem Mountain, and Sapphire Gulch to the south. 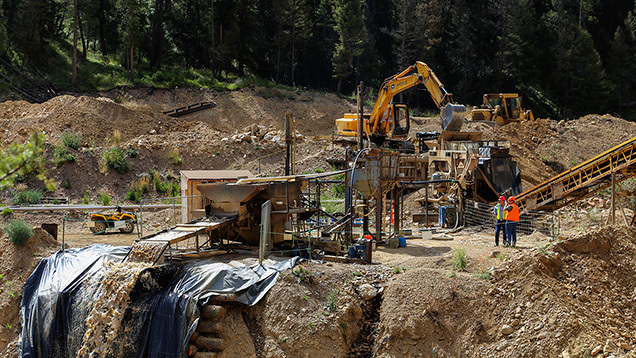 Bulk sampling at Sapphire Gulch was completed in 2014. 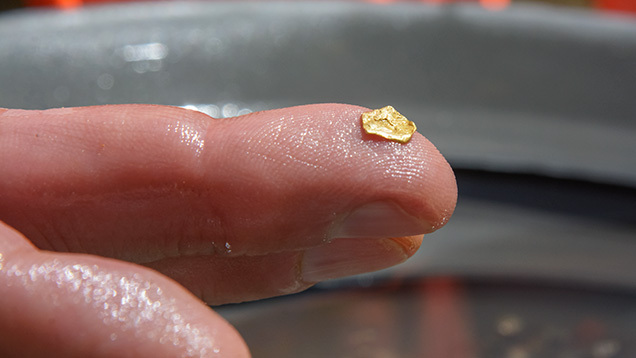 Eureka Gulch is richer in gold than in sapphire, and current production generates an average of US$88 worth of gold per cubic yard. 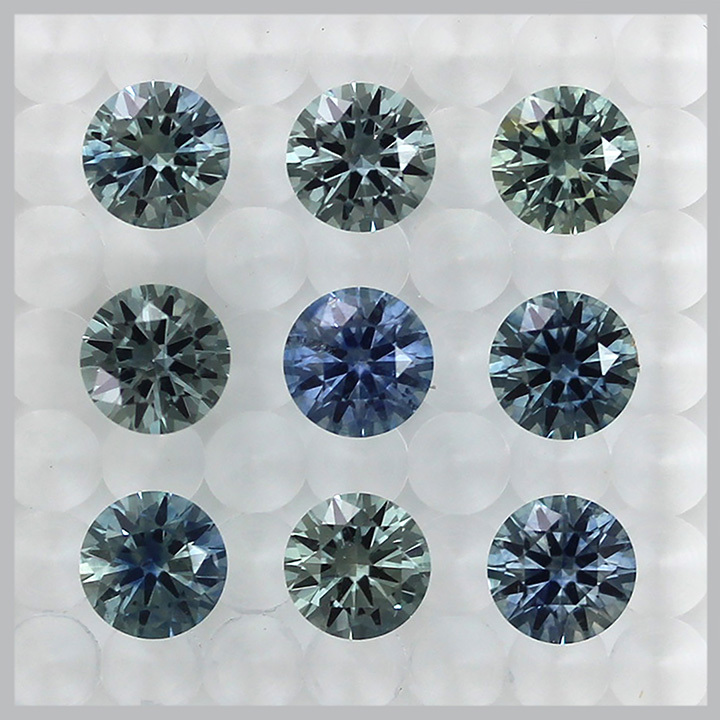 Sapphires are recovered sporadically as a byproduct at this site. 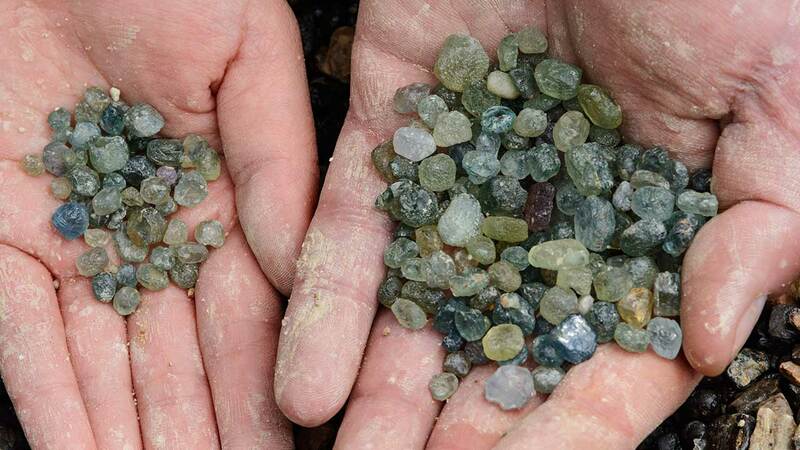 In 2014 about 22 pounds (10 kg) of rough sapphire were produced. Many gulches in this area have been historically mined. 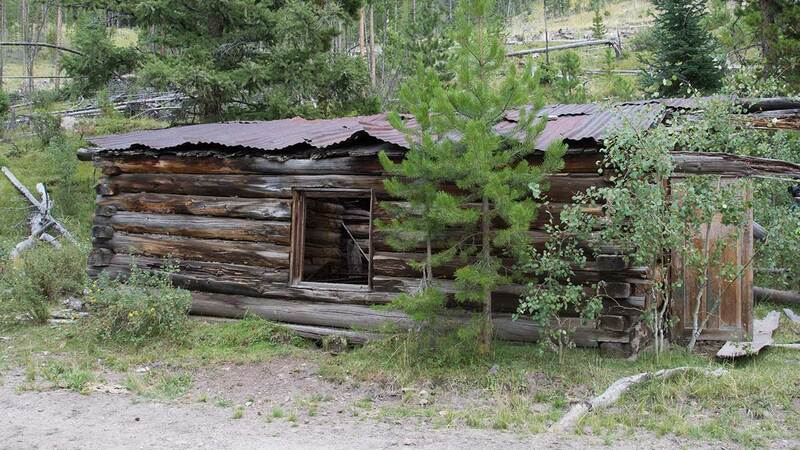 Our team visited a rich deposit at Sapphire Gulch that was mined around 1904. Old cabins and large rock piles can be clearly seen along this gulch. The Sapphire Gulch mining site is on the top of a hill, which again proved the mine owner’s theory that sapphire is carried in mudflows in this area. A double-deck screening plant is set up on this site. Materials are screened into three different piles. The grain size of the targeted material is between 1/8 inch and 1 inch (0.3175 cm and 2.54 cm). 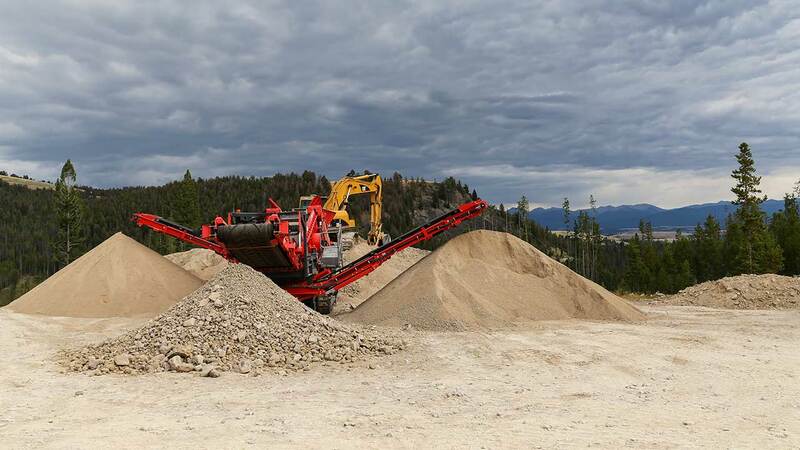 Gravel larger than 1 inch is waste, while materials below 1/8 inch are stored for later processing when a market is readily available. 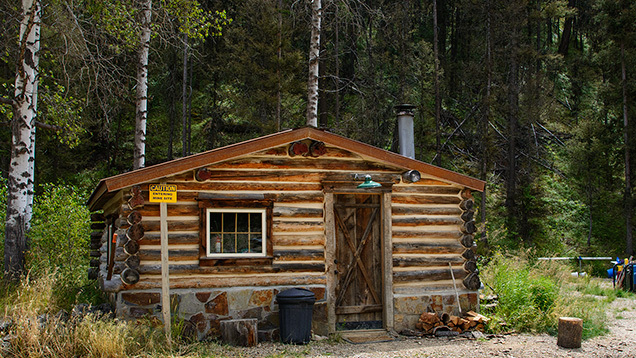 The washing plant is located at Eureka Gulch. 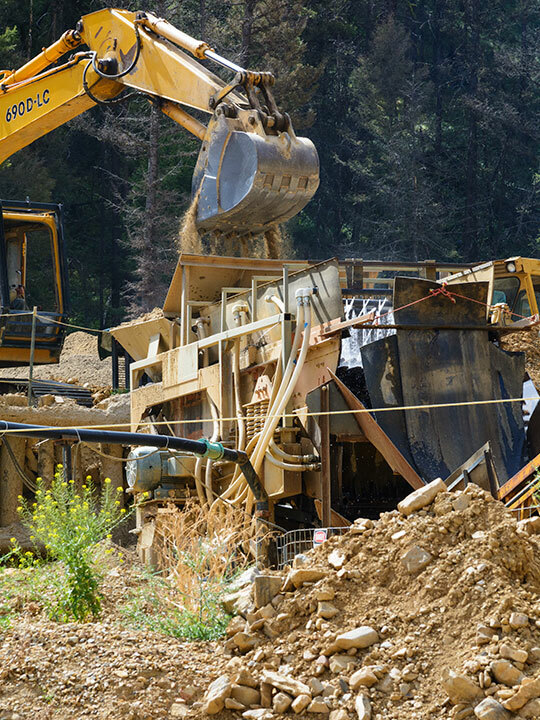 Materials mined from both Sapphire Gulch and Eureka Gulch are processed here. Two sets of jigs and a sluice box are set up for both sapphire and gold. 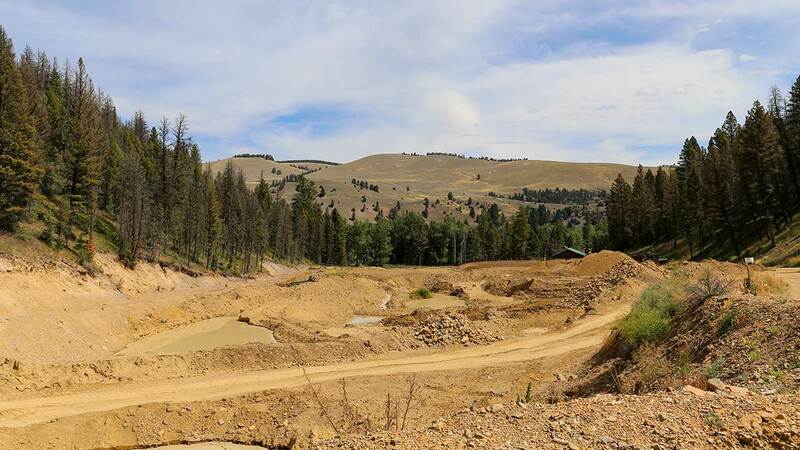 Because the material from Sapphire Gulch contains a certain amount of clay, the washing plant can process only about 15 to 20 cubic yards per hour. 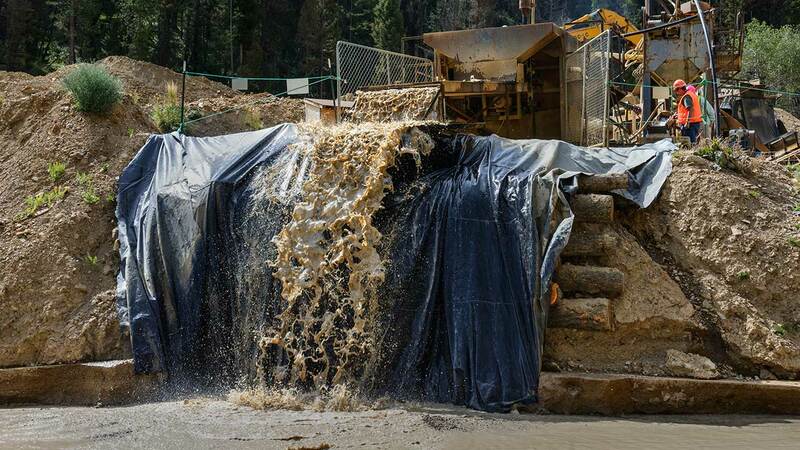 On the other hand, about 50 to 60 cubic yards of the Eureka Gulch material can be washed per hour. 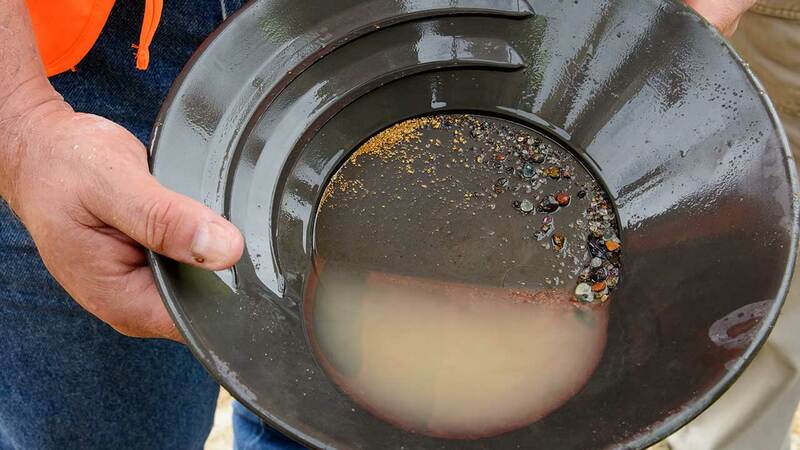 The larger jig is designed to recover sapphires with deeper jig beds, while the gold will be dropped to a tank and go to the smaller jig to be recovered. Finally, the material goes through a sluice box in case some of the fine gold has not been caught in the jigs. 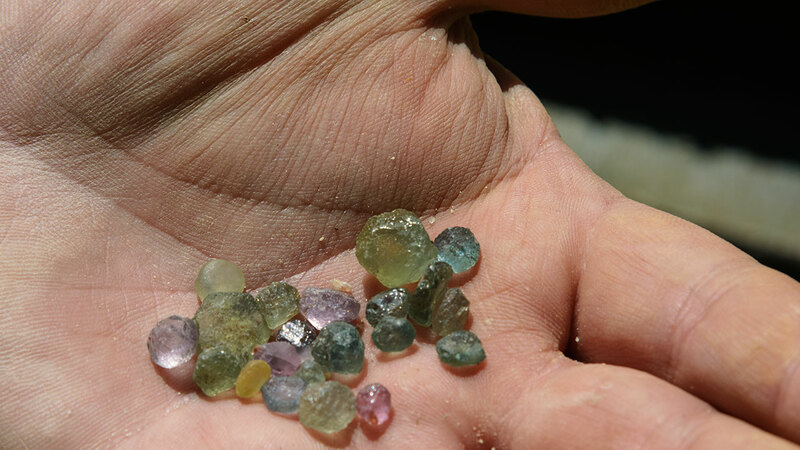 The GIA team participated in the jig cleaning process, handpicking a decent amount of rough sapphire with the miners. Samples were also collected for the lab. 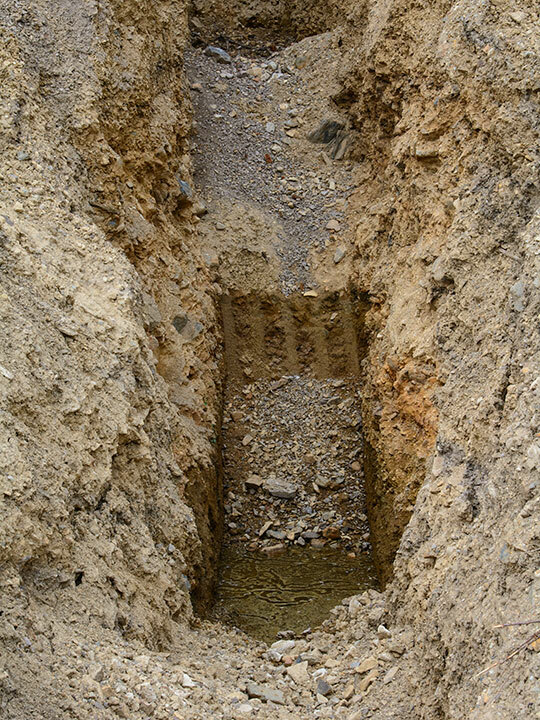 Groundwater is used for washing in the plant and is recycled through a precipitation pond. After water flows to the pond, it is allowed to stay still and precipitate for at least four hours before being pumped again for washing. During this time the washing plant usually stops work completely. The bottom of the pond is cleaned periodically to collect the mud and use it to restore the mined land. 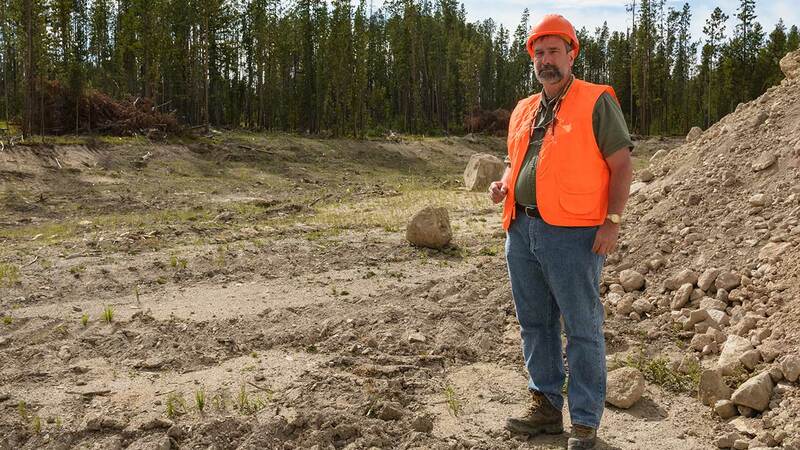 During our visit to the new Rock Creek mine, we got the impression that the owner takes his social responsibilities to protect the land and the environment seriously. After mining the land is covered with the fine material accumulated at the bottom of the pond and seeded with local plants and grass. 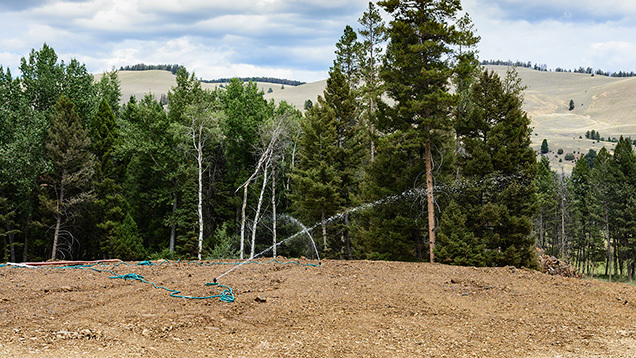 Sprinklers work for several hours a day to soak the newly restored land. Dr. Barron told us that after a few weeks grass will start growing on the restored land and elk will enjoy the grass when winter comes. The plant’s waste is sold to the county for road paving. After mining the land is restored with the waste material. Seeds of local plants are embedded, and the soil is soaked with water. In the coming winter, grass on this restored land will feed the wild animals. Photo by Andrew Lucas/GIA. 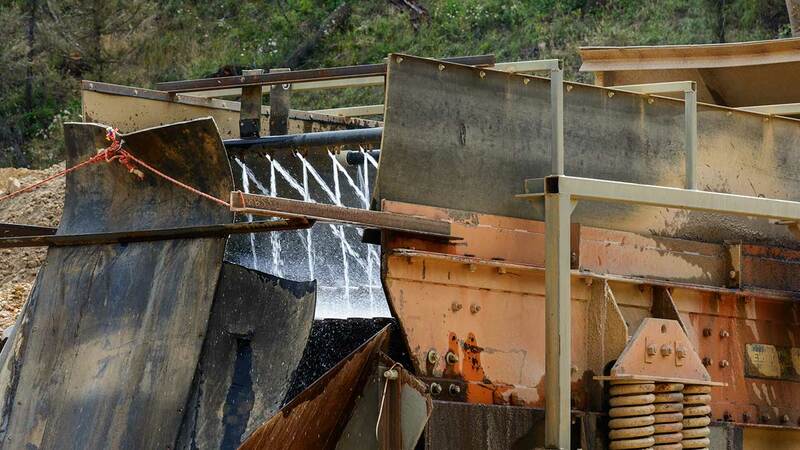 A similar strategy is applied to both mining sites, and no chemicals are used during the entire mining and washing process. Sapphire rough found in the new mining claim ranges in size from 2 mm to 1 inch. 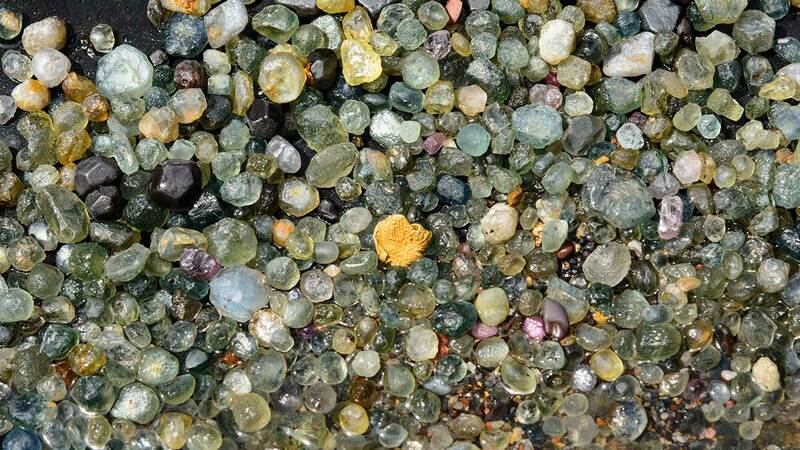 The largest stone that has been recovered is about 30 ct. 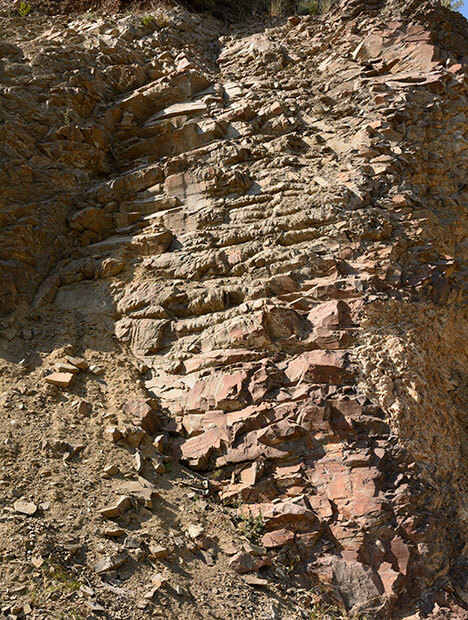 The rough stones are very rounded, with very typical magmatic resorbed surface features. 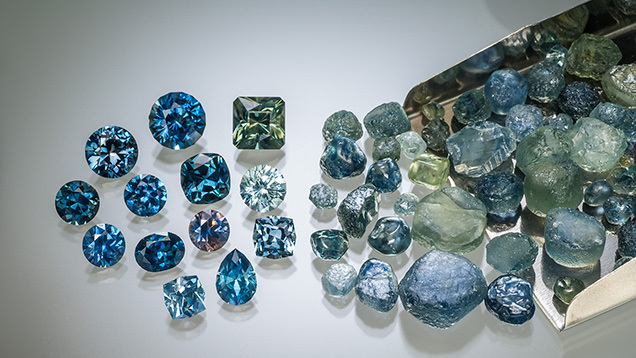 Approximately 13 to 15 percent of Sapphire Gulch production is of natural color, and about 8 to 12 percent is of natural fancy colors. 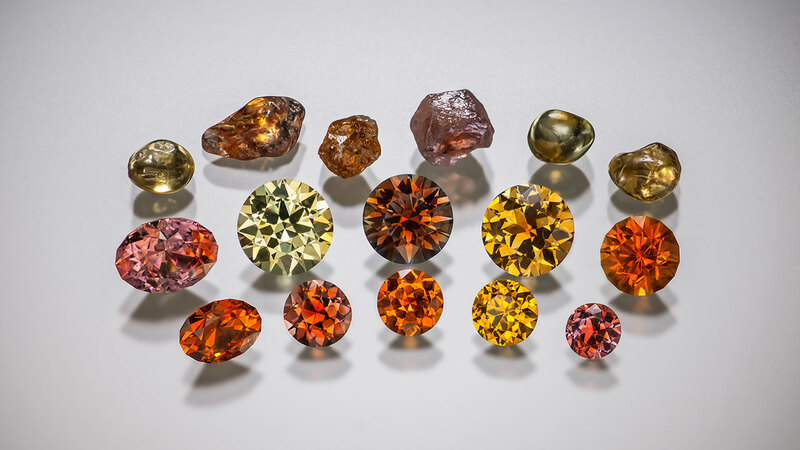 With the perfection of heat treatment in the late 1980s and early 1990s, Rock Creek sapphire saw more and more potential since the stones react very well to the heating method developed by Emmett and Douthit. 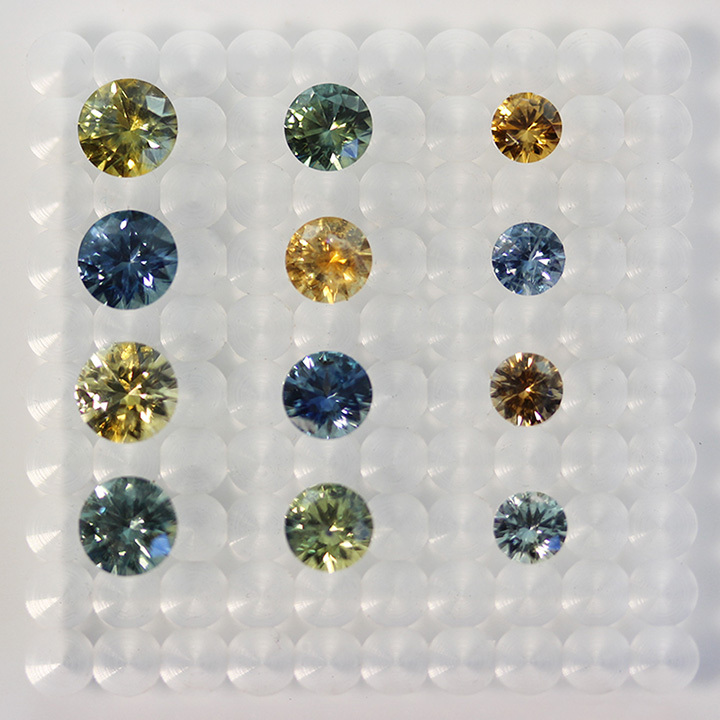 On site the GIA team saw faceted sapphire of different colors. 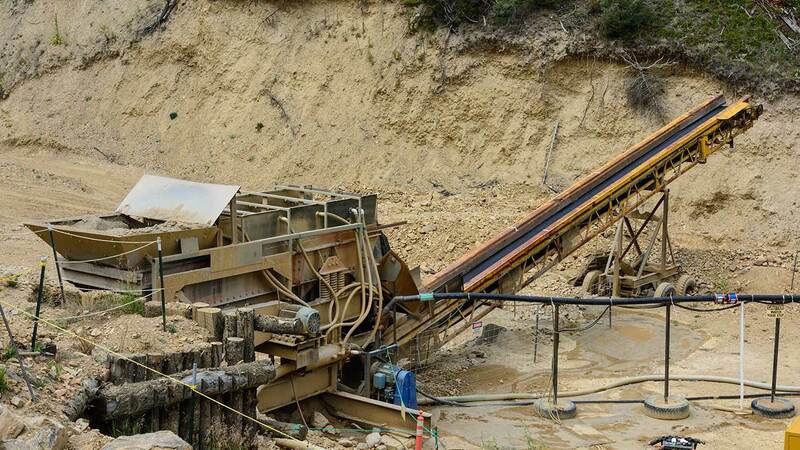 The 2015 mining season was successful, with good rough sapphire production and sales. Stone cutters are important clients of Potentate Mining. 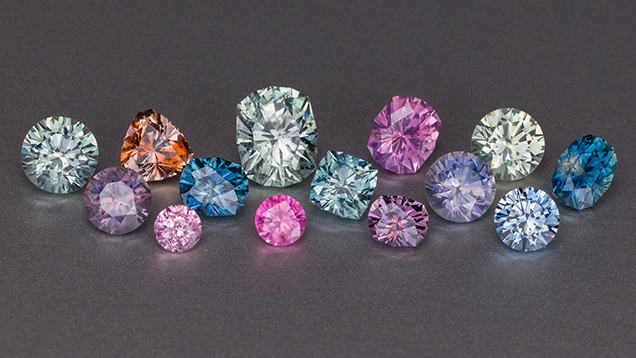 Some of the cutters transformed their rough sapphires into beautiful faceted stones. 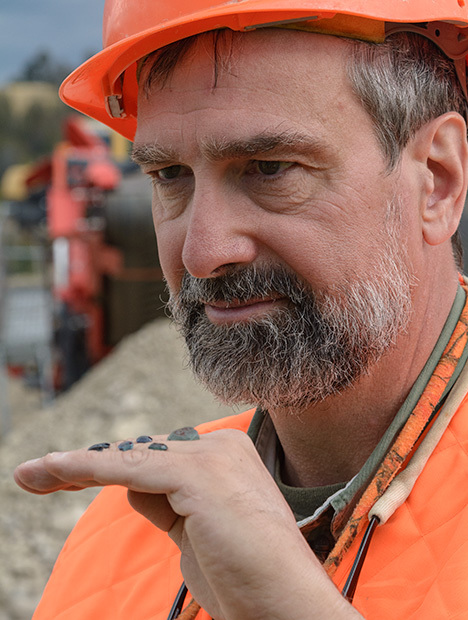 Jeffrey Hapeman of Earth’s Treasury faceted some Rock Creek sapphires purchased from Potentate, applying some special cut styles, such as “Helena Oval,” after Montana’s capital. 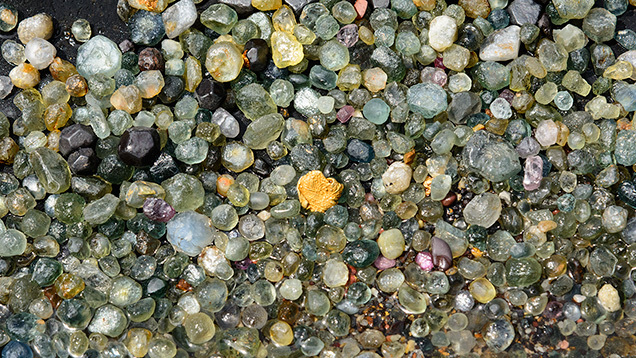 Many of these stones are of the characteristic pastel fancy colors. Rachel Abel of Americut Gems is working on precision cutting and heat treating sapphires mined by Potentate. 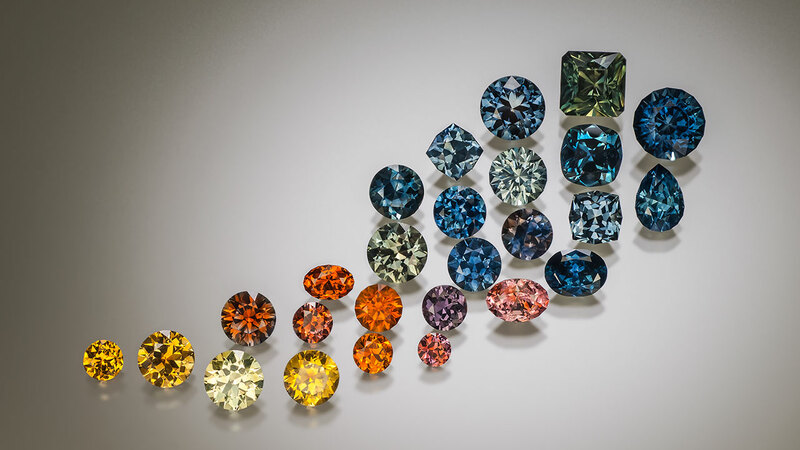 She uses robotic cutting systems to precisely facet Rock Creek sapphires with size range from 2.5 to 4.5 mm. 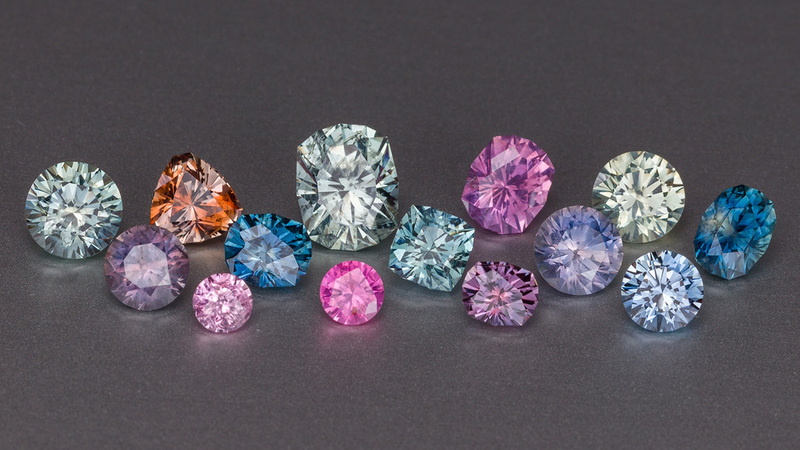 The stones are faceted to modified round brilliant and to display the “hearts and arrows” effect seen in some diamonds. 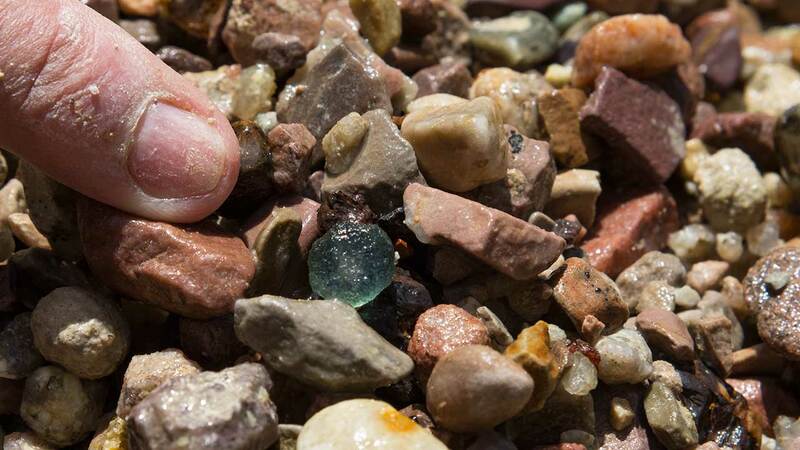 According to Mr. Warren Boyd, Potentate’s marketing director, Rock Creek Mine will sell its rough sapphire to only a group of selected clients. 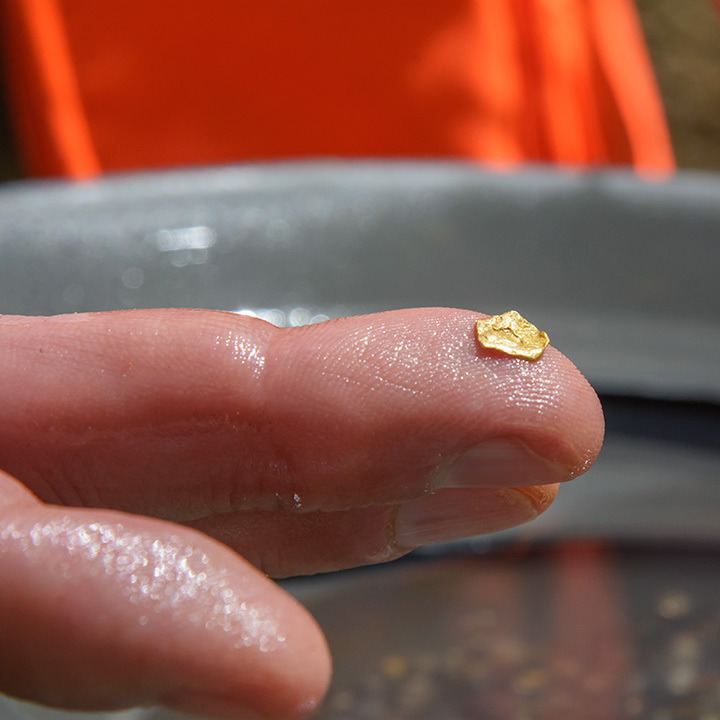 The variety of the yield ensures that the mine can supply to different levels of clients, from jewelry retailers to mass-producing merchants. 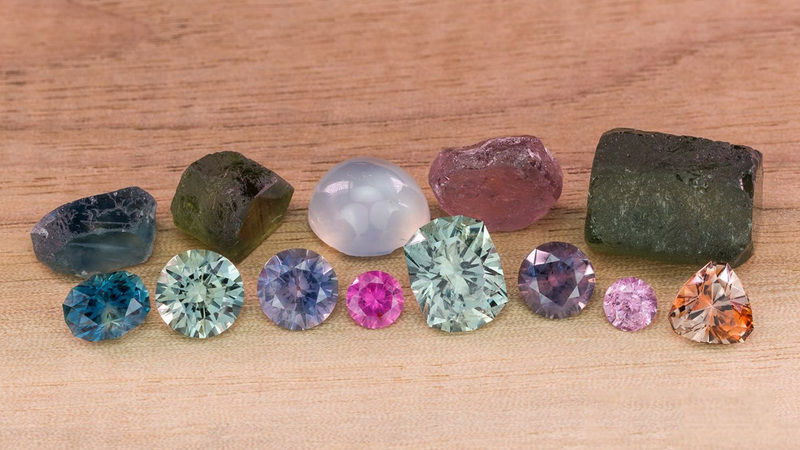 The small stones ranging from 2.5 to 6.0 mm are perfect for precision cutters, while there are plenty of stones above 1 carat for more specialized cutters. 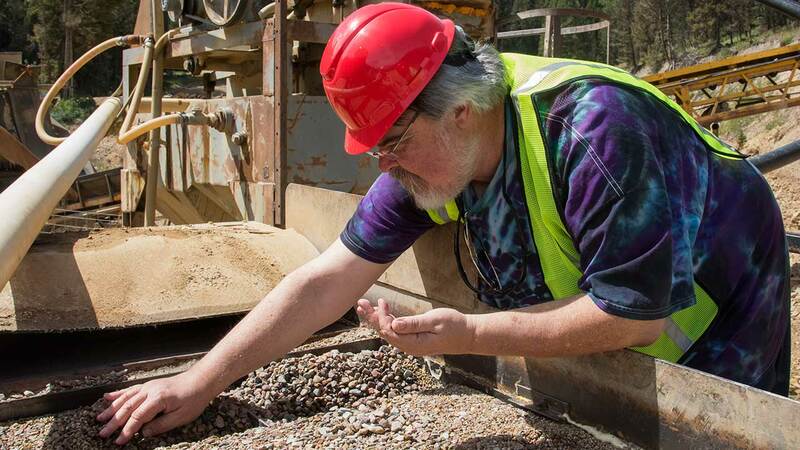 he shows the GIA team some of his mine’s best stones. Photo by Andrew Lucas/GIA. 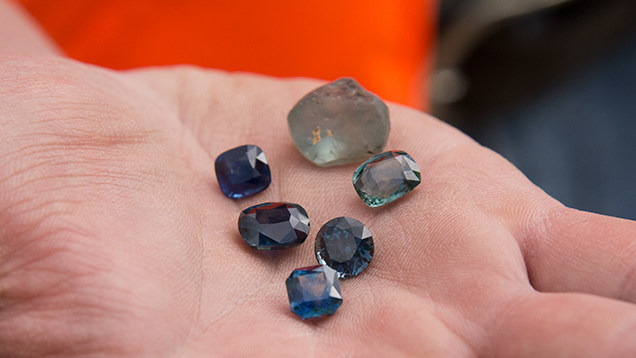 Some of the highlights of this Rock Creek sapphire mine are its responsible sourcing and constant supply, as well as the fact that it is an American source. The complete single ownership of the land and mining facilities are advantages that Potentate has over many other producers. Dr. Barron told us that Potentate wants to become the largest colored stone supplier in the United States and take a certain share of the world sapphire market. 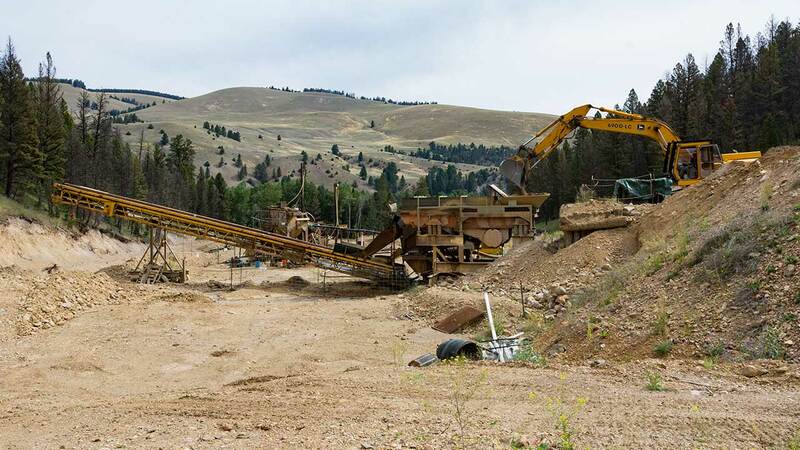 The bulk sampling at Sapphire Gulch and active mining at Eureka Gulch both generated very promising results, and the company is looking forward to another successful mining season in 2016. Dr. Tao Hsu is technical editor of Gems & Gemology. Andrew Lucas is manager of field gemology for education, Shane McClure is global director of colored stone services, Nathan Renfro is analytical manager of the gem identification department and analytical microscopist of the inclusion research department, and Kevin Schumacher is digital resources specialist at GIA Carlsbad. The authors would like to thank Dr. Keith Barron and Mr. Warren Boyd from Potentate Mining for arranging our visit. Berg, Richard B. 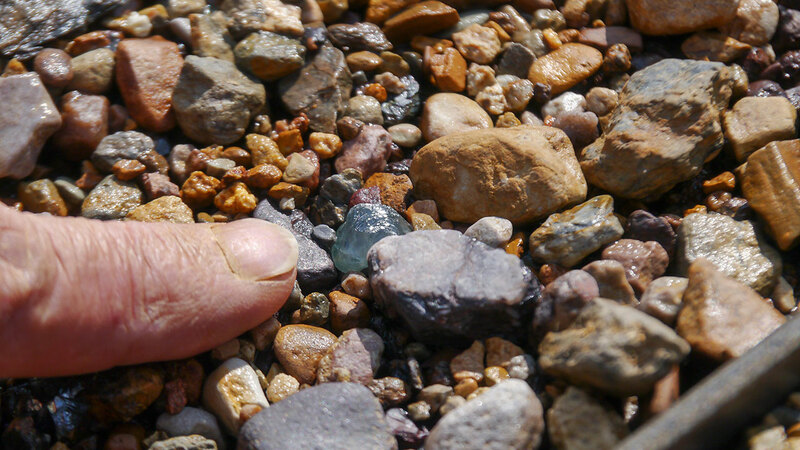 (2014) Sapphires in the southwestern part of the Rock Creek sapphire district. 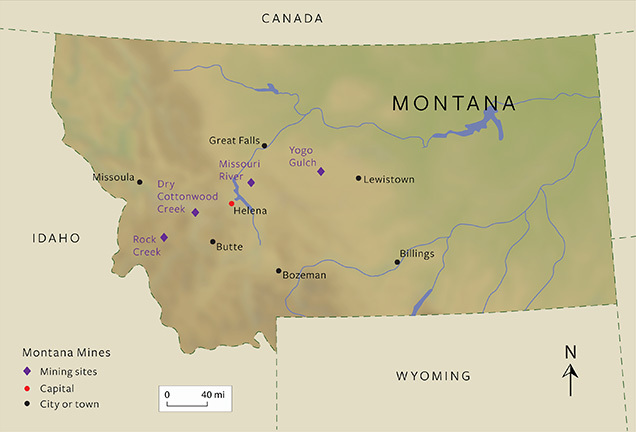 Granite County, Montana: Montana Bureau of Mines and Geology, Bulletin 135. 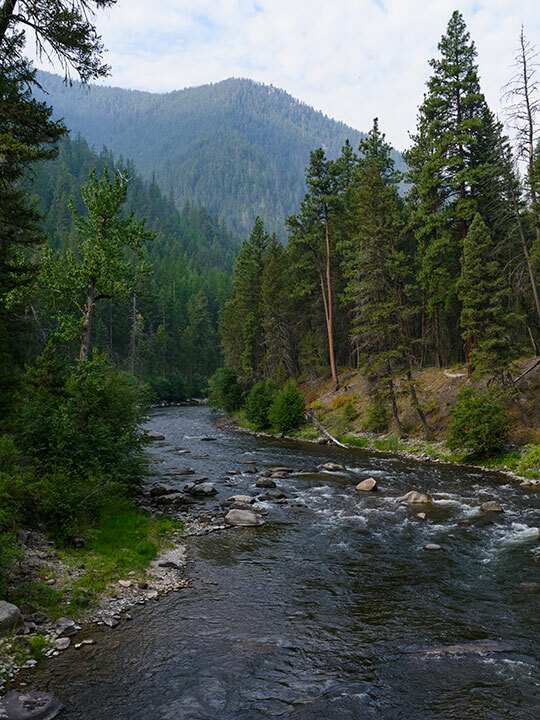 Join a GIA field team on an expedition to Gem Mountain, Montana, and witness the rarely seen sapphire heat treatment process and tourists passionately searching for treasures to turn into cherished jewelry.